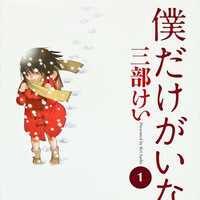 Following the 12-episode TV anime series by A-1 Pictures (January-March 2016) and the Tatsuya Fujiwara-starring live-action film (March 2016), a live-action web drama adaptation of Kei Sanbe's mystery manga series Bokudake ga Inai Machi/ERASED is now in the works. It is confirmed to be streamed by Netflix to 190 countries/regions in the world in the winter of 2017. 29-year-old Yuuya Furukawa, best known as Naoki Irie in Itazurana Kiss ~ Love in TOKYO, the 2013-2014 live-action TV drama adaptation of Kaoru Tada's popular shoujo manga, is cast as the protagonist Satoru Fujinuma in his 29-year-old day, and 12-year-old Reo Uchikawa, who was cast as Ciel Phantomhive in the Black Butler ~NOAH'S ARK CIRCUS~ stage play last year, plays the character in his childhood. 17-year-old Mio Yuuki, recently joined the Assassination Classroom live-action films as Yukiko Kanzaki, plays the main heroine Airi Katagiri. original manga for the first time. on March 4, 2016. 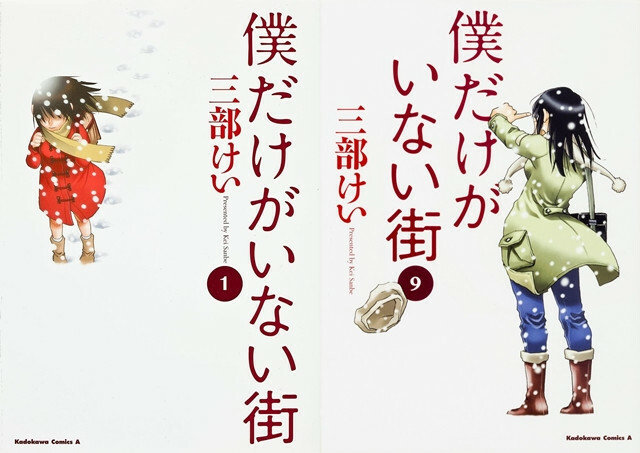 A total print run of its nine tankobon volumes has reached 2.95 million copies in Japan. March 19. It received mixed reviews and had mediocre box office success of 1.4 billion yen.